Sam and Disco play Ball! New Art in the Pipe! Still in the early stages, but I think there is enough here to share! A new pinup (shocker) set in Heavy Metal magazine inspired environment. Haha, with Halloween coming and the autumn days suddenly growing darker I’ve had a hankering for freaky films. We recently watched the excellent Conjuring 2! 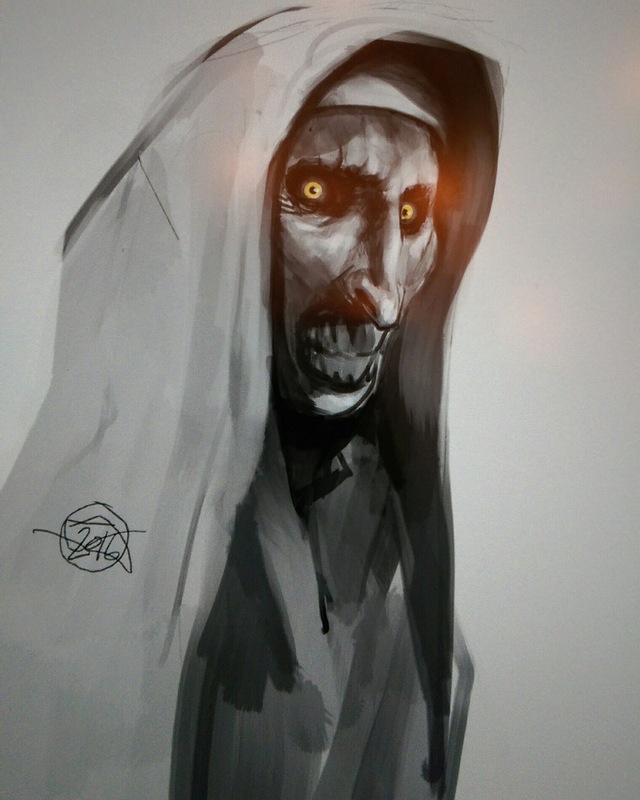 And Ioved the demonic entity, the Nun. Here’s my quick iPad Pro sketch of her! As well, I’ve included a video of the sketch.